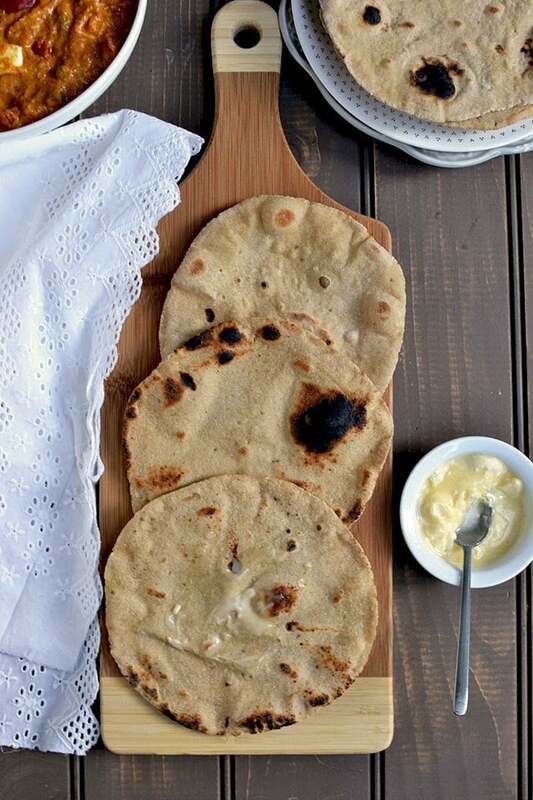 Recipe to make beautiful Rajasthani Khoba roti. 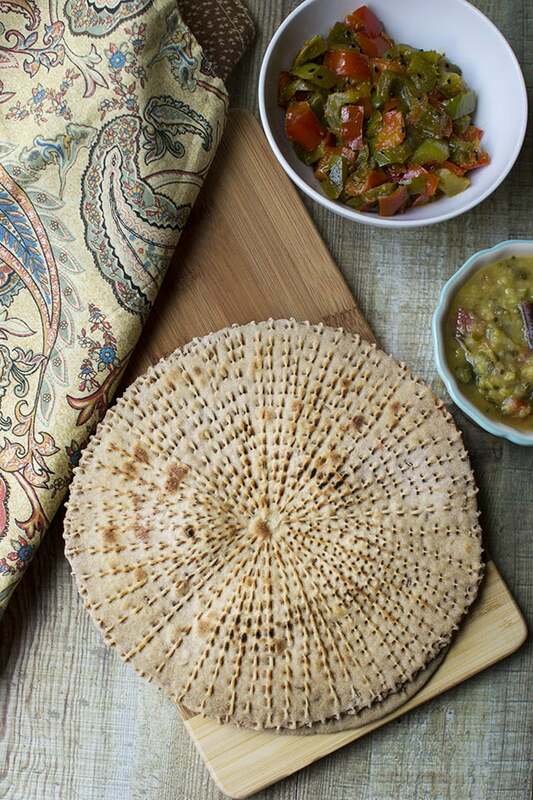 In its most basic form, the rotis are rolled out into about 1/2″ thick and then the top is pinched with fingers in a circular pattern. 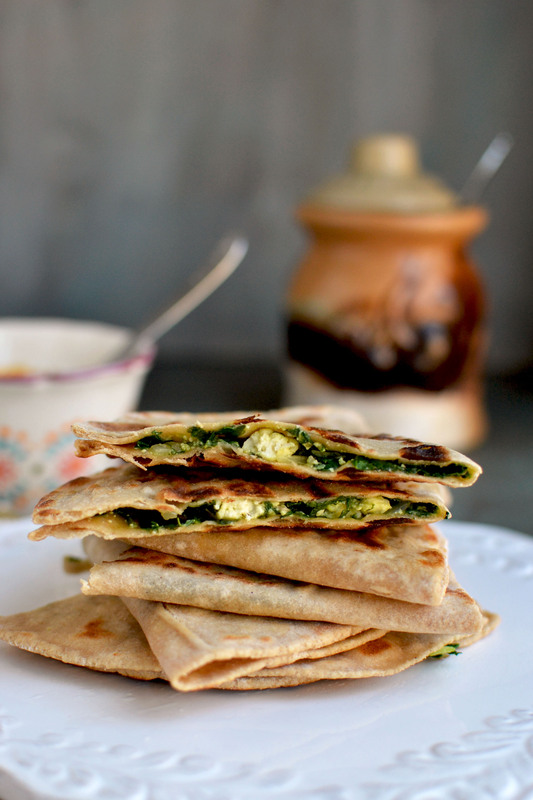 Or you can get fancy like here and make a very intrinsic and beautiful pattern on the roti. It is usually served with a generous drizzle of ghee along with a curry or dal or any other spicy side dish. 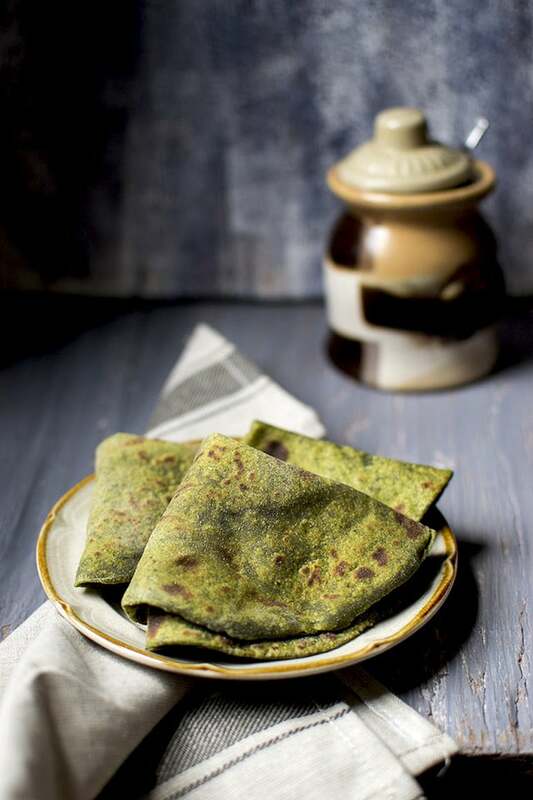 Healthy parathas made with Spelt flour, sweet potato and spices. 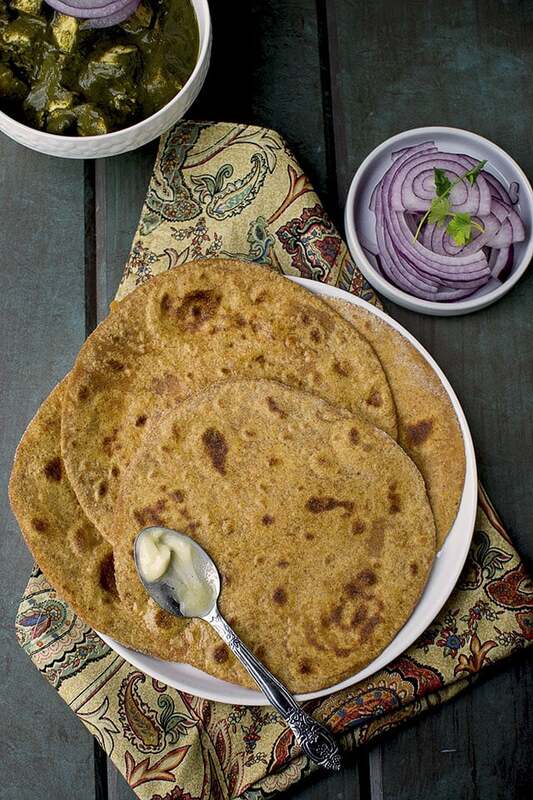 These parathas are hearty and delicious. 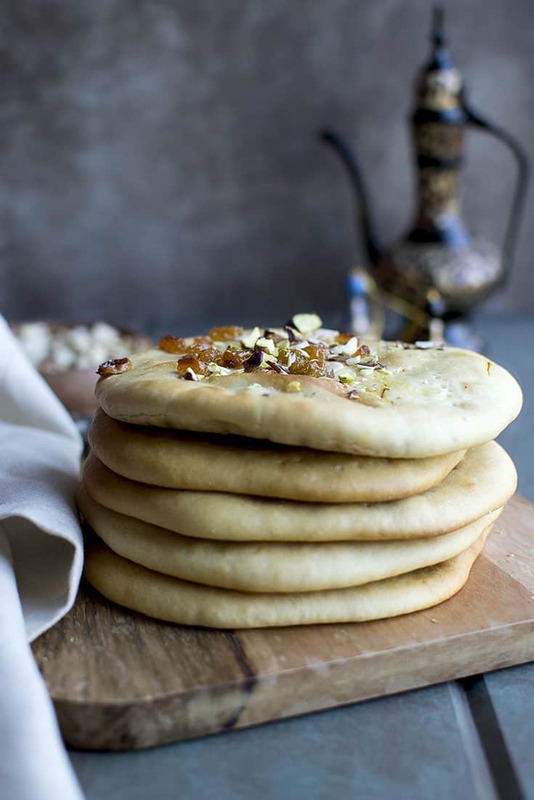 Khamiri roti is a Mughlai leavened bread. 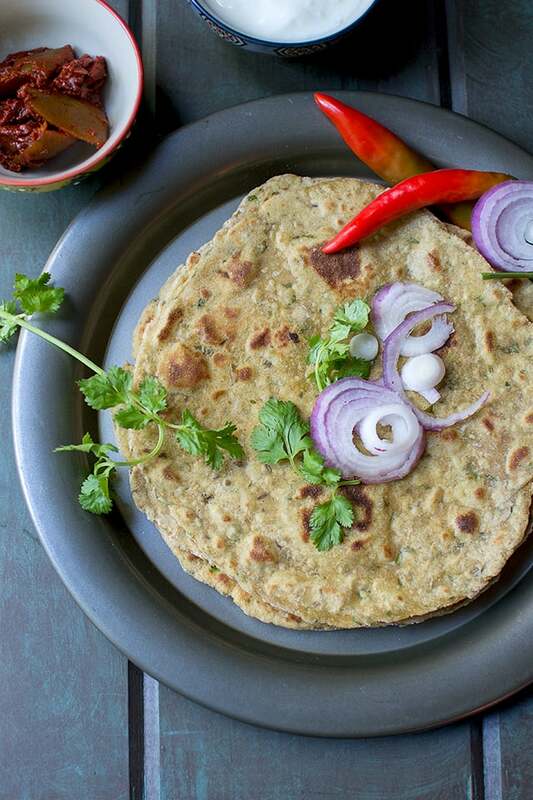 Khamir means ‘yeast’ and it is used in this roti to make it thick and spongy.